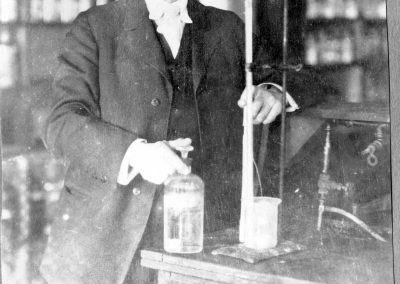 The Manitou Messenger headline, “Test Tube Wielders Storm Chemistry Hut” (November 18, 1919), announced the latest and by far the quickest building ever erected on the St. Olaf College campus. The unpretentious wood-frame building, dubbed the Chem Shack, was conceived in one day and built in less than a month. 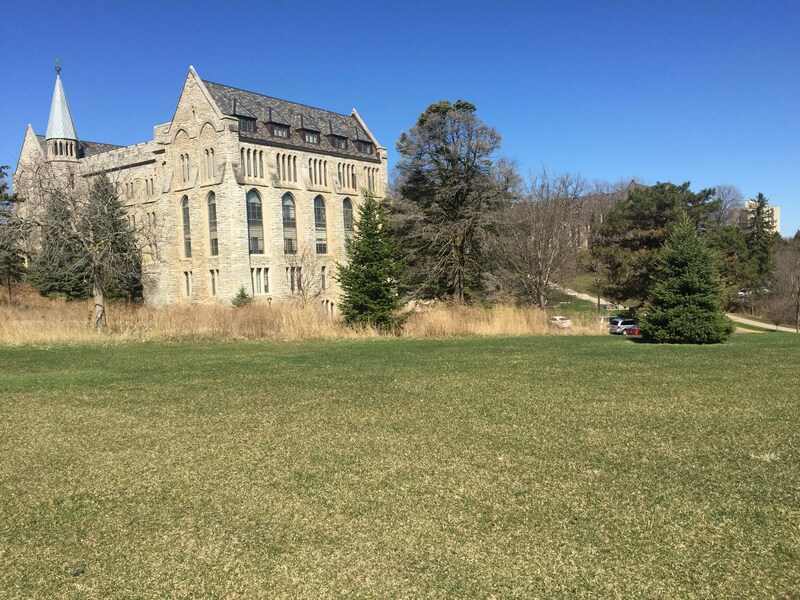 Professor Emil O. Ellingson, who designed and supervised the construction, recalled the decision originated when he and President Lars Boe discussed the inadequate quarters in the Main, especially in light of the ever-increasing post-World War I registration. Boe stressed the need for an immediate resolution with the construction of a laboratory “warehouse,” dedicating a budget of less than $5,000. 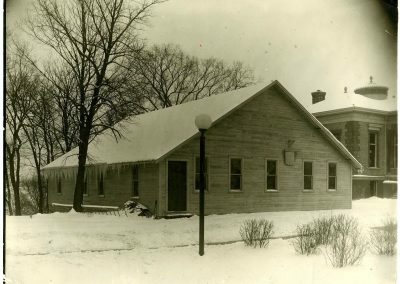 The temporary building, situated near Steensland Library, measured 54 by 34 feet and provided ample room for a laboratory, a store room, a balance room, and an office. Carpenters added shelves along the walls, drawers, and lockers. The building lacked a basement, so wooden sills were set on concrete blocks, astride a heating tunnel for ready access to steam heating. 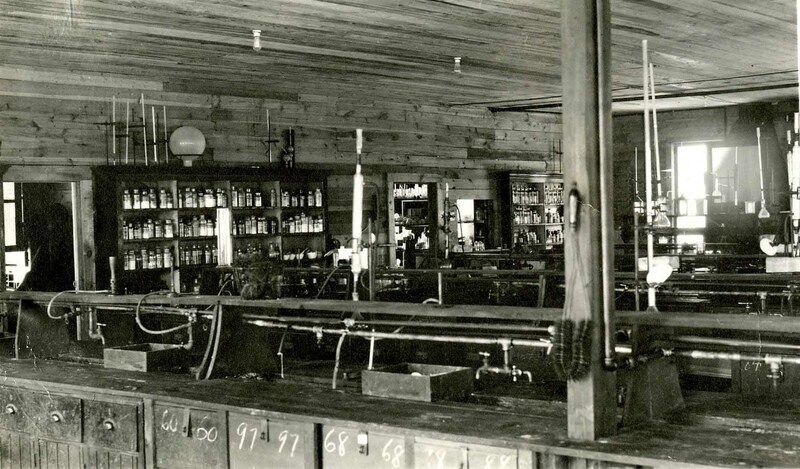 The laboratory was supplied with direct electric current, illuminating gas, and city water. 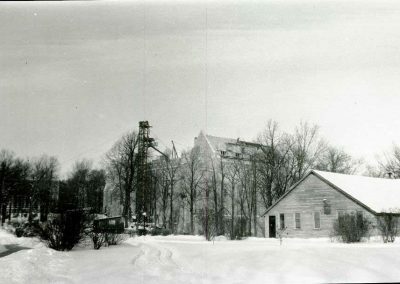 Former students recalled the clouds of ammonium chloride that formed in the shack, as well as the lingering odor of hydrogen sulfide, which was typical of chemistry laboratories of that day. “One distinctive event I experienced at St. Olaf was to almost set fire to the dear old ‘chemistry shack.’ Instead of practice teaching in chemistry, I was asked to serve as a lab assistant for one semester and was taking organic chemistry at that time. Illness had delayed my finishing an experiment, and I decided to work during the noon hour one day. The problem was distilling ether. One window opposite the apparatus was open as was the door to the supply room. 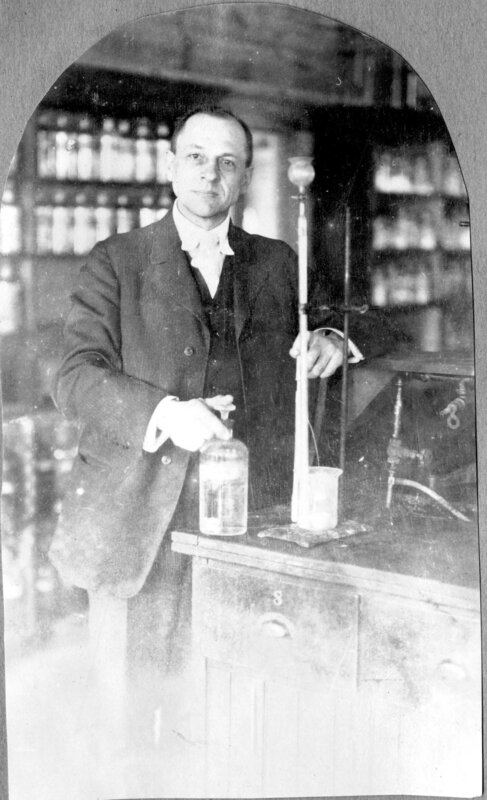 “Things were going well as the ether dripped steadily from the condenser into the bottle. Suddenly there was a great gust of wind, the door slammed shut so hard that the building shook. The bottle of ether tipped and, in a second, the flame from the Bunsen burner had ignited the little pool on the table. Somehow I managed to save what was left in the bottle, turn off the burner and dump sand on the fire. 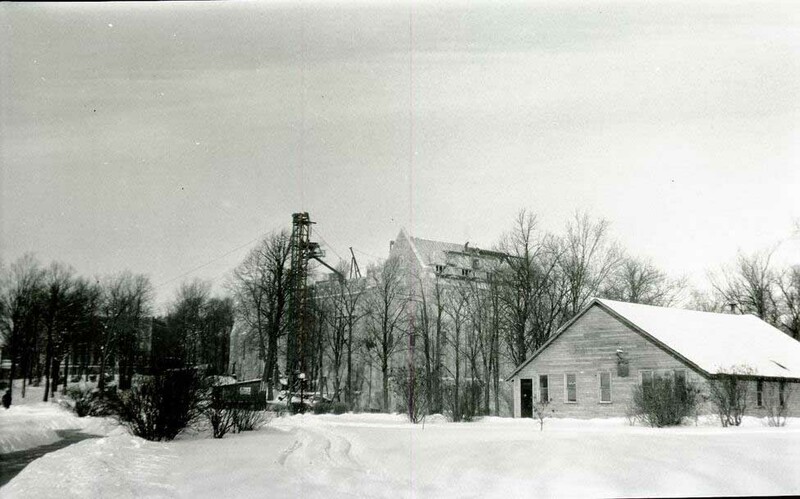 Once Holland Hall was built (background), the Chem Shack was no longer needed. Creator Nils Flaten, ca. 1924. Source Norwegian-American Historical Association (NAHA), Nils Flaten Family Papers. 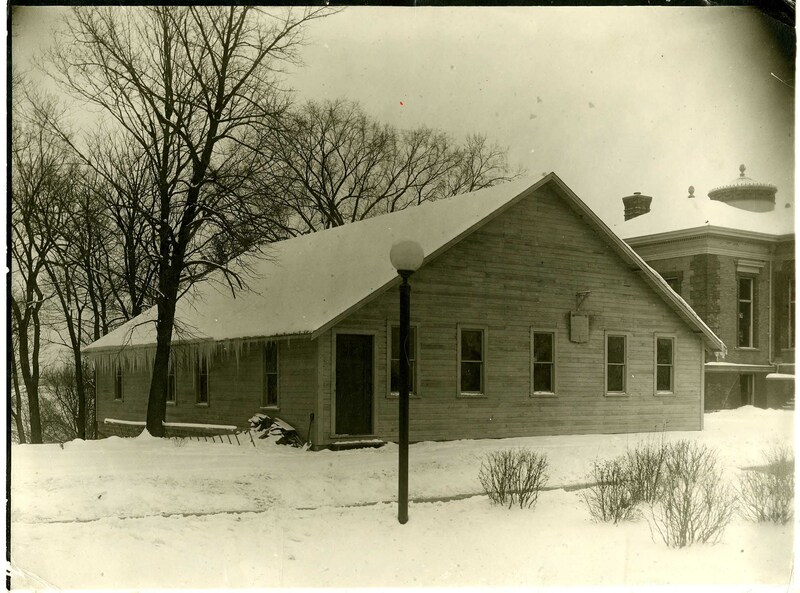 Professor Emil O. Ellingson, who designed and supervised the Chem Shack’s construction, recalled that the decision to build it originated when he and President Lars Boe discussed the inadequate quarters in the Main, resulting from the ever-increasing post-World War I registration. Boe stressed the need for an immediate resolution with the construction of a laboratory “warehouse” and a budget of less than $5,000. Source St. Olaf College Archives. 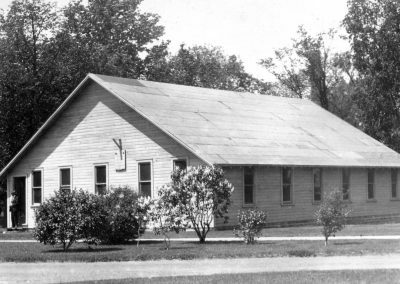 The temporary building, situated near Steensland Library, measured 54 by 34 feet and provided ample room for a laboratory, a store room, a balance room, and an office. Carpenters added shelves along the walls, drawers and lockers. Source St. Olaf College Archives. Everything is Coming Up Roses . . . or at Least Lilacs. 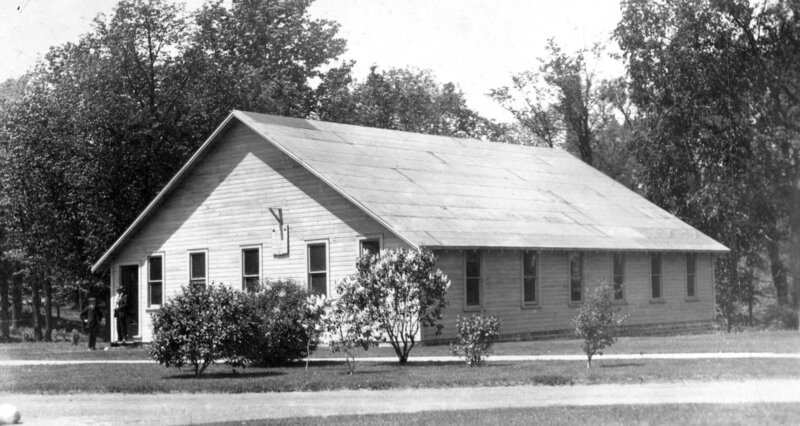 Although the Chem Shack was short-lived—like the bloom of lilacs—it served as an integral part of campus. Source St. Olaf College Archives. Today nothing remains at the location of the old chemistry shack. Creator Melanie Jones, April 13, 2015. Professor Ellingson describes the the Chemistry Shack and the difficulties of the temporary building. 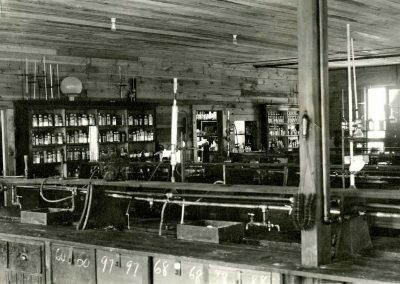 Paul C. Johnson, St. Olaf Class of 1928, explains what became of the Chem Shack.